Op-Ed: SABC programming post-Hlaudi – any green shoots? 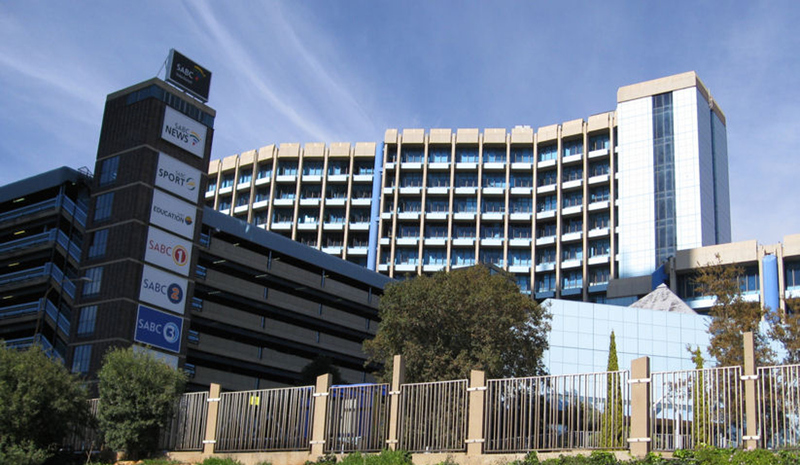 The SABC’s interim board has dropped the broadcaster’s hastily adopted 90% local content quotas for music and 80% local content quotas for television. Further, the corporation has relaunched its editorial policy review process – and this time not in the context of a “good news” agenda. This begs the question – can there now be room for some optimism? By KATE SKINNER. Despite the SABC’s serious financial problems, there seems to be a crack in the clouds. Vincent Smith’s parliamentary ad hoc committee shone a bright light on corruption, financial mismanagement, censorship and general SABC malfeasance. The committee put forward a clear set of recommendations to “fix” the SABC and a new interim board was appointed to take these recommendations forward. And to date the interim board has achieved some important victories. It has managed finally to fire Hlaudi Motsoeneng and thus end his deeply damaging management regime. Further, the board has started to kick-start a new SABC editorial policy review process. So how do we push this agenda? How do we secure long-term gains? Overall, the most important intervention is to ensure the appointment of good executive leadership, leadership that has a strong knowledge of broadcasting and the management of major public institutions. Most important, this needs to be leadership that is not beholden to political or commercial interests. Here Minister Ayanda Dlodlo must be watched. Like a hawk! The SOS: Support Public Broadcasting Coalition took this matter to court. They argued that it was essential for editorial independence that the SABC board appoint executives with no outside interference. The interim board must stand strong. Motsoeneng had very strong views on programming. He abandoned the hard fought-for, transparent request for proposal (RFP) book process instituted post-apartheid – a commissioning process that outlined the SABC’s programming plans and asked independent producers to pitch their ideas. It was a process that aimed to put mechanisms in place to ensure the best programming while embracing new players – young players, black players, women, people from outside the metropoles etc. However, Mosoeneng grumbled about the slowness of these processes. Then in characteristic flamboyant style he abandoned RFPs in 2016 and introduced an ad hoc unsolicited proposal process, concentrated in his office. But this led to confusion and corruption. It wasn’t clear what the SABC wanted, in what format and for how much. So to dispel this confusion the RFP process should be reintroduced. But processes should be streamlined with briefs allowing for greater flexibility and creativity. In 2016 Motsoeneng introduced 90% local music and 80% South African television content proposals without consulting audiences, advertisers or National Treasury to ensure that the necessary finances were in place. (Local programming is more expensive to produce than buying cheap American imports.) Of course, the introduction of strong local content quotas is potentially a positive development – something independent producers and audiences have long fought for – but the problem was with the swashbuckling way in which the policies were introduced. There was no planning. There were no exceptions or nuances applied. The SABC’s commercial stations – SABC3, Five FM, Metro and Good Hope – were all pulled in as was Radio Lotus, an SABC station targeted at Indian audiences playing mostly international Indian music. From one day to the next, all SABC radio station schedules had to be completely reorganised. Television was given a few months. And the new quotas were ruthlessly enforced. So what we need now is for the SABC to return to the painstakingly researched local content regulations passed by the regulator, ICASA, in 2016. These regulations call for 65% local content on the SABC’s public TV channels and 45% on its public commercial channels. For radio, the regulations call for 60% local music, moving to 70% within a year on public stations and 35% for commercial stations. Motsoeneng also kept a close watch on editorial policies. From 2013, he started campaigning for a “70% good news agenda”. He then initiated the SABC’s long over-due editorial policy review process. His opening salvo was, “I believe from the SABC’s side, 70% should be positive (news) stories and then you can have 30% negative stories.” Despite these worrying (and outlandish) proposals (why the arbitrary figure of 70%? And how do you actually define “good news” anyway?) the initial process was open and consultative. Then things went underground. No draft policies were tabled and significant changes were clandestinely introduced. The COO (Motsoeneng’s position) was made the editor-in-chief and a new principle of “mandatory upward referral” was introduced. This meant that editorial decision-making was shifted out of the newsroom and up to the executives, in particular to Motsoeneng. With these editorial policies in place Motsoeneng then moved to ban coverage of violent protests ahead of the highly contested 2016 local government elections. He also insisted that journalists give positive coverage to the ruling party and particularly the president. ICASA, after civil society action, ruled that the protest ban was illegal. Thankfully, the interim board has initiated a new campaign to rework these editorial policies. So audiences, activists, CBOs and NGOs – in short, the general public – must get involved. Another chilling aspect of Motsoeneng’s regime has been his extreme intimidation of journalists. This led to the banding together of the #SABC8 journalists to protest against Motsoeneng’s absurd and illegal directives to stop showing protest footage. One of these journalists – Suna Venter – subsequently died due to extreme stress. The #SABC8 have now launched the #Handsoffourjournalists campaign. The campaign should be strongly supported. The first step to editorial independence is the safety of journalists. The SABC is once again in deep financial crisis. This is partly due to the gross financial mismanagement of SABC executives but partly also about a funding model that needs to be recrafted. The SABC relies on approximately 80% advertising fees. But we need a mix that includes greater public funds linked to an actual costing of public programming needs. Also, one of the most critical ways forward is to put a new intellectual property regime in place. Presently the broadcasters own 100% of the intellectual property of the work they commission. But this stops independent producers from sourcing outside finance to fund programming and it stops them from selling programming across multiple broadcasters and multiple platforms. Programming under this regime is thus shown once or twice on the broadcaster and never again – broadcasters don’t have the wherewithal to exploit the rights, contributing to a lose-lose situation. So this regime needs to be completely overhauled. We need a new mixed funding model with more public funding and new IP regime to create a sustainable and thriving independent production industry and new funding streams for programming.